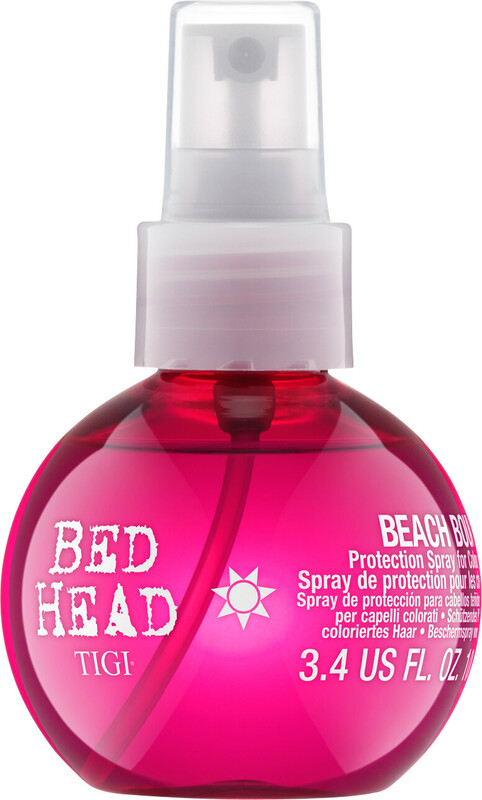 Protect your hair from heat and humidity with the Tigi Bed Head Totally Beachin' Protection Spray for Coloured Hair, a shielding spritz that defends your hair from the sun and heat styling. Formulated to protect your locks from up to 230 degree heat, the Bed Head Totally Beachin' Protection Spray is a must-have tool for those planning a sunshine getaway. Expect your hair to benefit from increased manageability, whilst revealing a super-shiny finish to your hair. Bouncy and beautiful locks are only a few spritzes away with the Tigi Totally Beachin' Protection Spray. Spritz onto damp hair, paying attention to the ends. Spray into hair before you enter the sunshine. 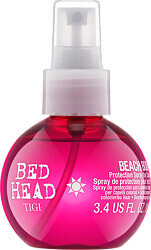 TIGI Bed Head Totally Beachin' Beach Bound Protection Spray For Coloured Hair 100ml is rated 3.0 out of 5 by 2. Rated 2 out of 5 by Clare15 from Disappointing Bought this as I need something to protect my over processed hair day to day during the summer. I have used a couple of times, just spritzing lightly as my hair is fine and prone to greasiness. Unfortunately within a couple of hours my hair became lank and stringy. I think it will probably be better on wet hair and on holiday when my hair gets more dried out but for every day...no. Rated 4 out of 5 by Debs52 from Works Well Down side is when you spray it it goes everywhere as well as on your hair. Plus side is it does seem to stop my colour fading & it smells lovely.